Care free living at it's finest! 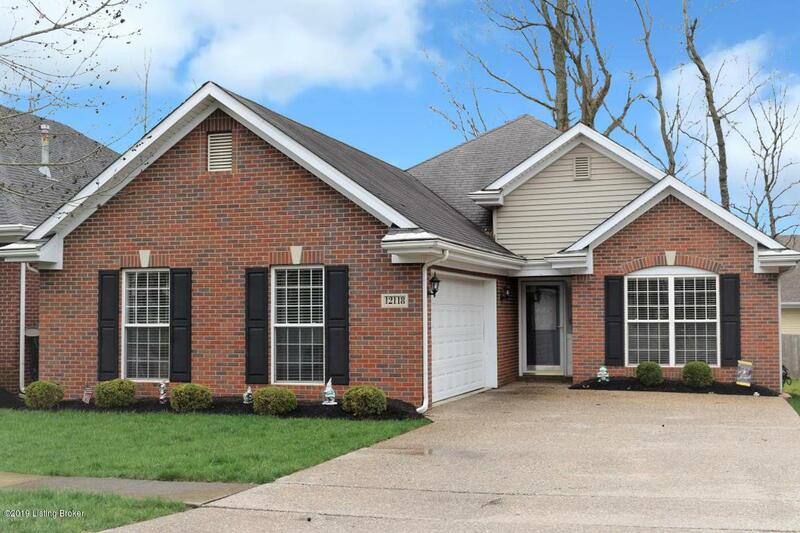 Nestled in a lovely community off Blankenbaker Lane this home is sure to please. The perfect size to be comfortable and spacious but not too much to maintain. With the grounds keeping covered by the association and the exterior being all brick and vinyl it's virtually maintenance free. A leaded glass front door opens into the foyer with hardwood floors. The vaulted hip roof offers architectural interest to the great room. 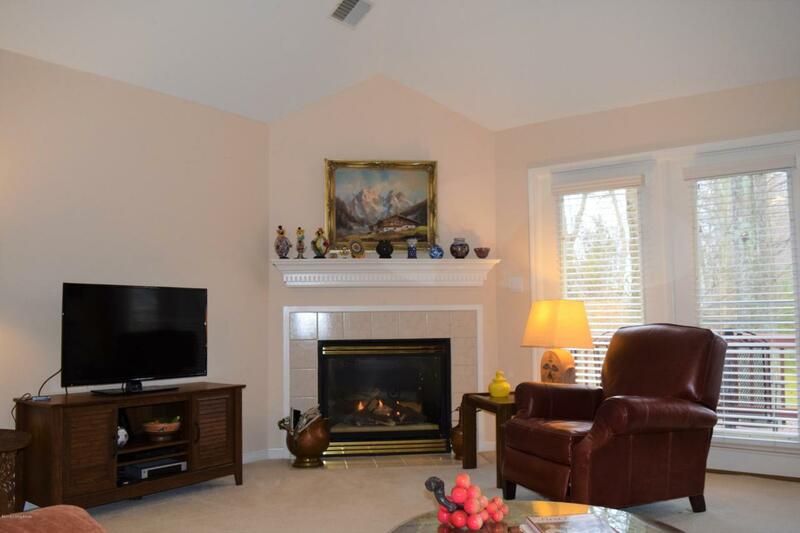 There's also a lovely gas fireplace to enjoy in fall and winter. French doors lead to a private deck for an opportunity to enjoy the outdoors. 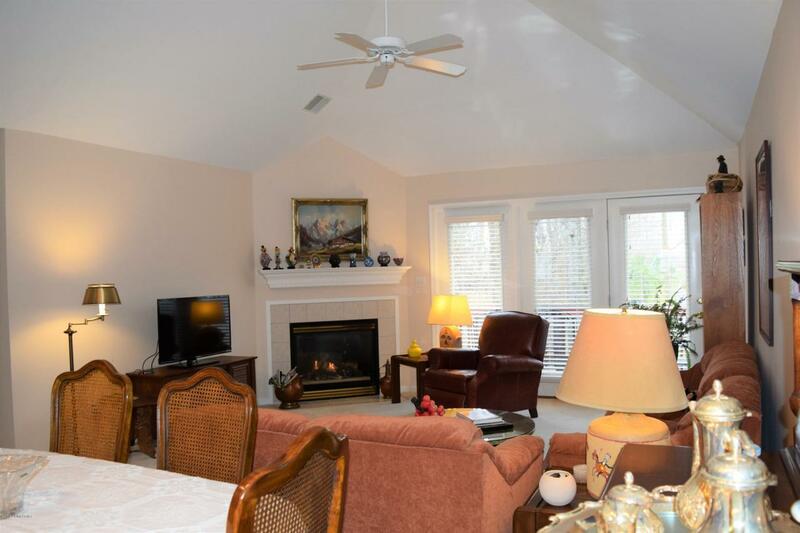 A lovely dining area is situated next to the great room which makes it easy to serve holiday dinners in this home. A full dining table and sideboard fit comfortably in the dining area. Thereis an opening between the kitchen and the dining area to allow the cook to be a part of all the conversations! It's really perfect for entertaining. The kitchen has lots of cabinets, great counter space and a separate pantry. The eat in area is bright and cheerful and looks out over the front yard. It's the perfect spot to start the morning! 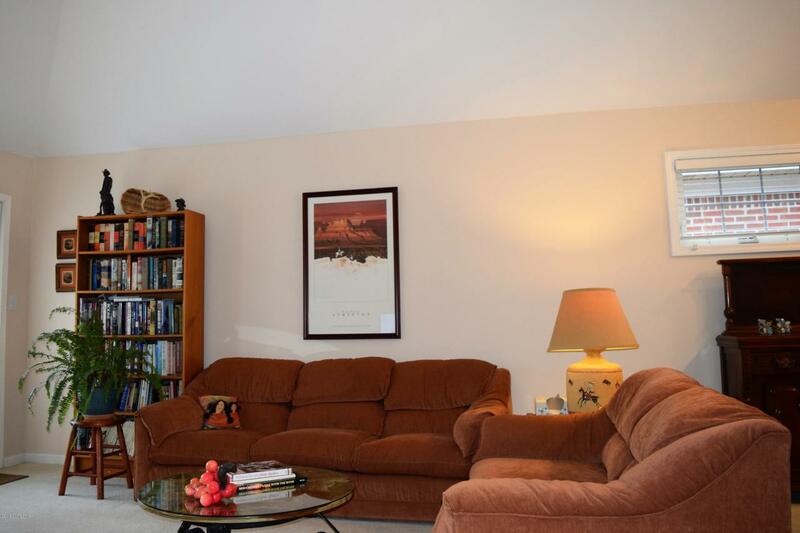 The large master bedroom is situated toward the rear of the home for maximum privacy. There is an en suite full bath and large walk in closet. There is a pocket door separating the master bedroom from the 3rd bedroom which could be used as a study or sitting area for the master. It's large enough to accommodate full size bedroom furniture. The second bedroom is off the front hall and is perfect for guests. This hall is home to a linen closet and full bath. It also leads to the laundry room. The laundry room serves a dual purpose as a mud room and laundry room. The laundry room leads to the attached garage. There are also pull down stairs in the laundry for attic access. The attic provides additional storage. The two car garage is oversized and offers additional room for storage as well. It's been a wonderful location for the current owner and she hates to leave. All the major components of the house have been replaced within the last 6 years including the entire plumbing system for the whole house (HVAC 4.5 years and water heater 6 years) It's a great spot to live and a friendly community!